It begins around 4pm on Thursdays at theCHIVE. 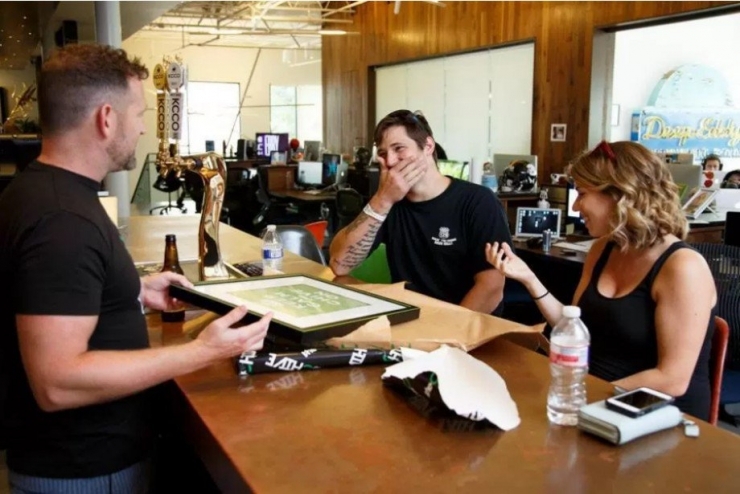 Veterans and active duty service members arrive at theCHIVE HQ hoping for a tour and a cold beer at theCHIVE’s famous Copper Bar. I scramble to finish the Daily Afternoon Randomness on time and join them. We blast 80’s music, and we talk about anything and everything. 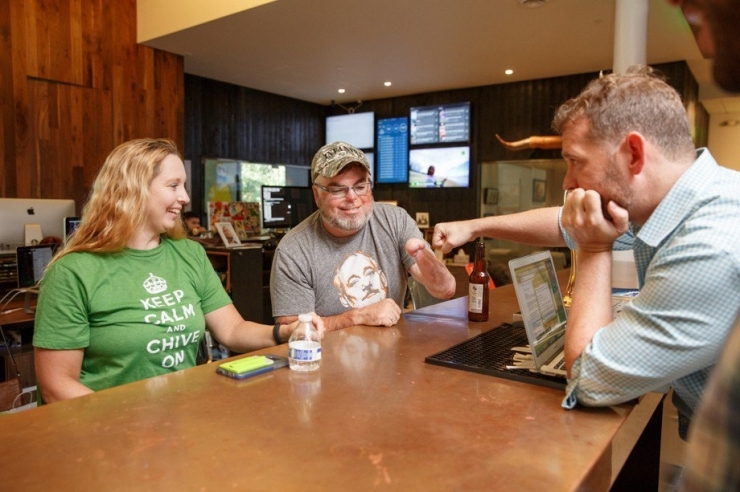 Someday, I’ll look back at my stewardship of theCHIVE and these happy hours will be my favorite part of all this. 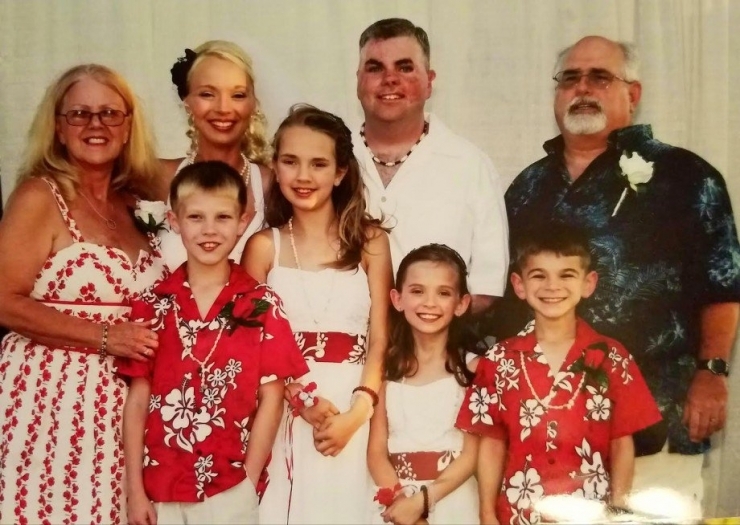 Last Thursday, I found out we had two special guests arriving from San Antonio – our latest Chive Charities recipients – A married couple, Michael and April Lage, both veterans who had been injured on duty who found love against all odds. It was love at first sight for me, too. Frankly, these two are some of the funniest and most charitable people I’ve met. Both are active in more charities than I can innumerate. 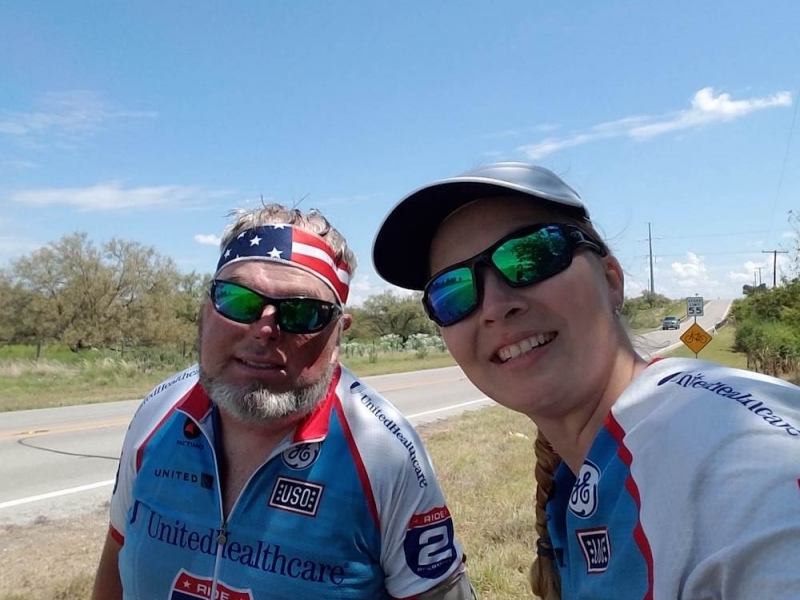 April’s work for female veterans alone from the OARS Challenge to Ride to Recovery are enough to stack a calendar year. Where were my manners? 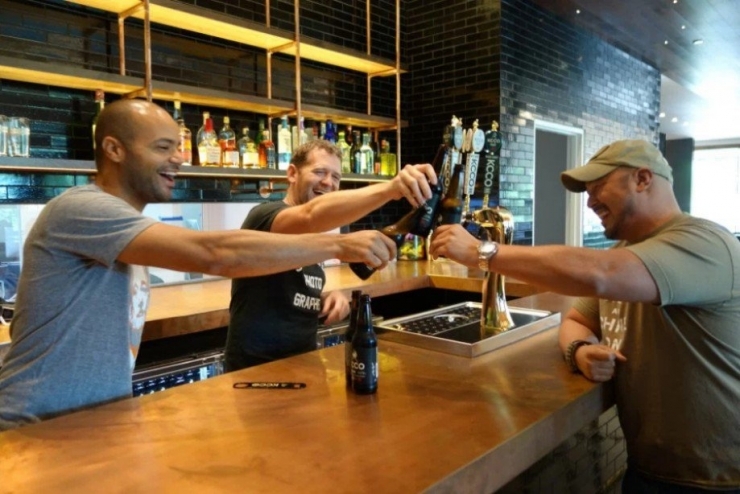 I handed Michael a cold KCCO White Wheat, and he recalled, “It was a night raid, and we were circling back to our position when the device detonated. There were five of us. I was the only survivor. They found me crawling away from the explosion, on fire. April served in the Army Military Police Corp as a Specialist (E4). She had also been injured on duty. Her injuries resulted in multiple surgeries, one of which included her right leg having to be surgically amputated and reconstructed. In addition, her lower spine had to be fused which resulted in her having to wear leg braces daily and use a cane when walking long distances. She suffers from daily pain and told us that she woke up crying the first night after being able to sleep in her new adjustable bed. The bed alleviated the awkward angles at which she used to prop herself up at during the night just to get some sleep. 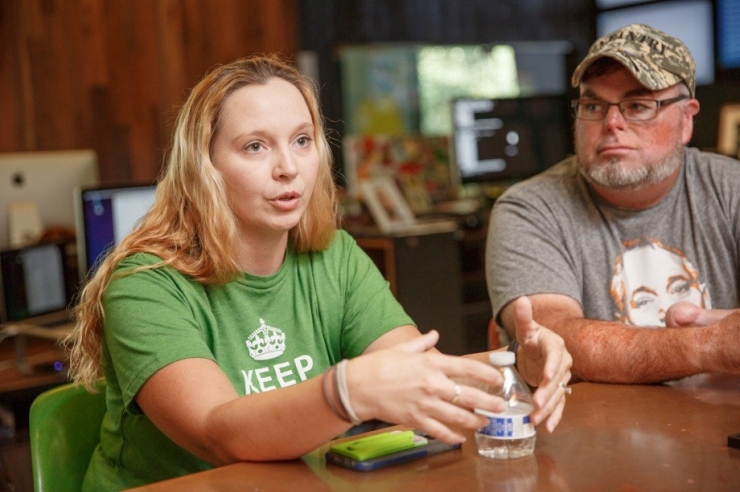 This is where Chive Charities stepped in. 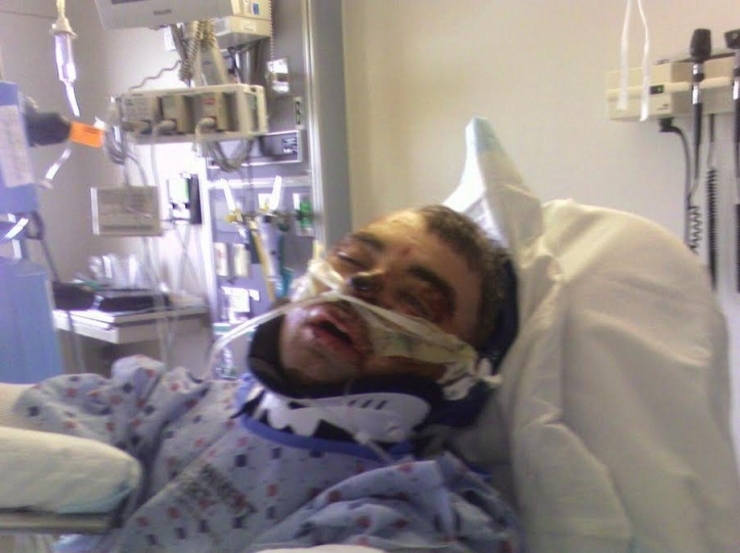 Both April and Michael had difficulty sleeping and badly needed a custom, adjustable bed. 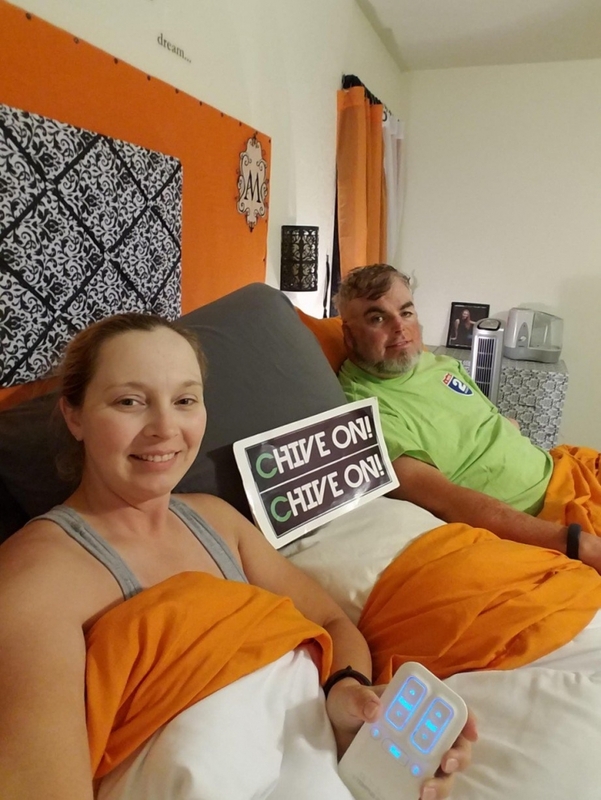 Chive Charities purchased a $10,000 Tempurpedic Flex Bed with a fully adjustable base. The flex bed allows for each of them to have exclusive control over their side of the bed to allow blood flow to different areas. For those of you who have ever had the chance to lay down on one of these beds in a showroom, you know you don’t lay on it unless you plan on buying it. The experience alone will make your bed back at home feel like Barney and Wilma Flintstone’s. It was a phrase I’d heard before, just be. A year later, I got a call at 6 am, Tommy’s cancer had returned. His third battle was his last. On March 6th, one day after his 36th birthday, Tommy passed away. But his legacy lives on. April got up from her barstool, “C’mon now, Michael, we gotta go, and I’m your designated driver.” She laughed, “It’s not like you can thumb your way home.” We laughed and said our goodbyes. 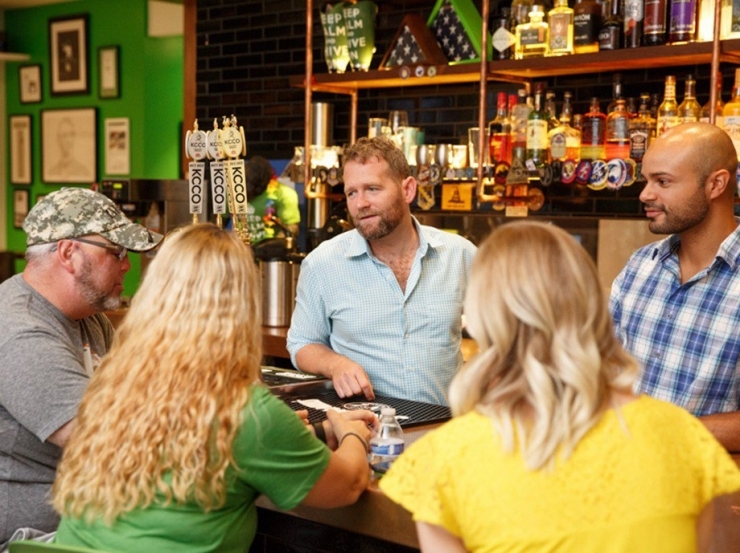 Thanks to Tommy and our veterans, theCHIVE’s Copper Bar proudly displays the patches of Chivers who have visited, but it’s also lined with the patches and name tags of the lost. Tiny pieces of the fabric of their lives remain here. It’s why on Thursdays and Fridays veterans and active service members are welcome to make an appointment to visit and just be. The patches remind us of the stark truth about military service, some make it, some don’t. 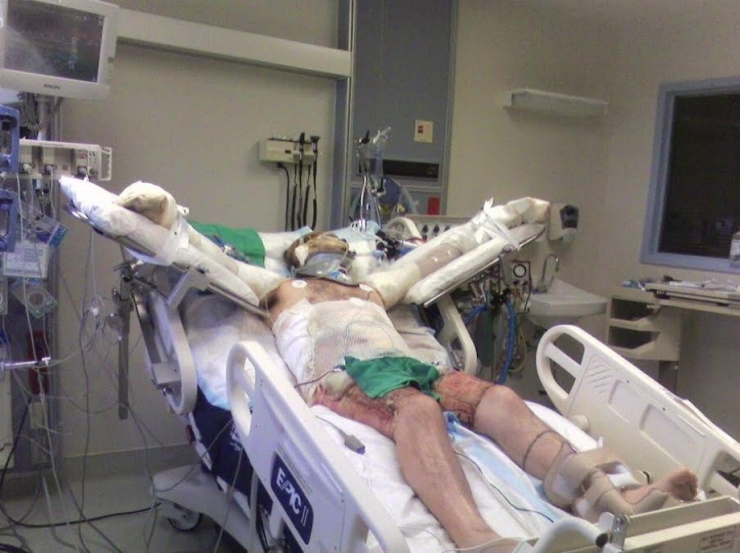 Some survivors have scars, some physical, others emotional. theCHIVE, Chive Nation, and Chive Charities will always be here to help the scars heal, and ease your pain the best we can. 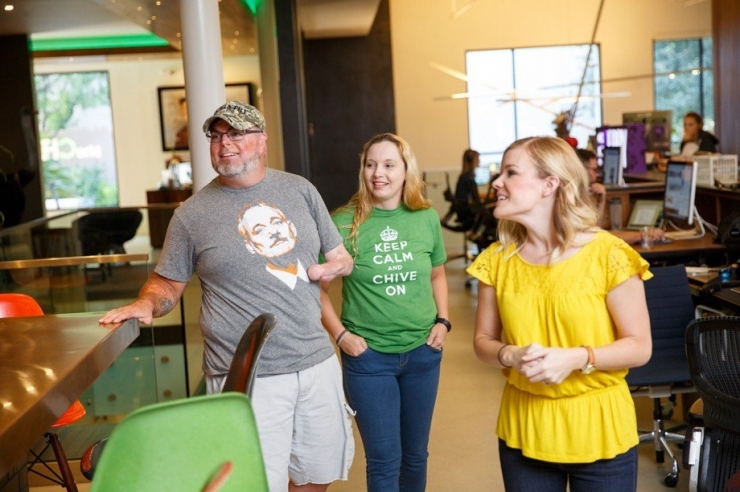 We didn’t need a flash campaign for this story, Chive Charities’ donors picked up the $10,000 tab on this one. This post is dedicated to your steadfast commitment to the underdogs. And to April, Michael… and Tommy Kim. 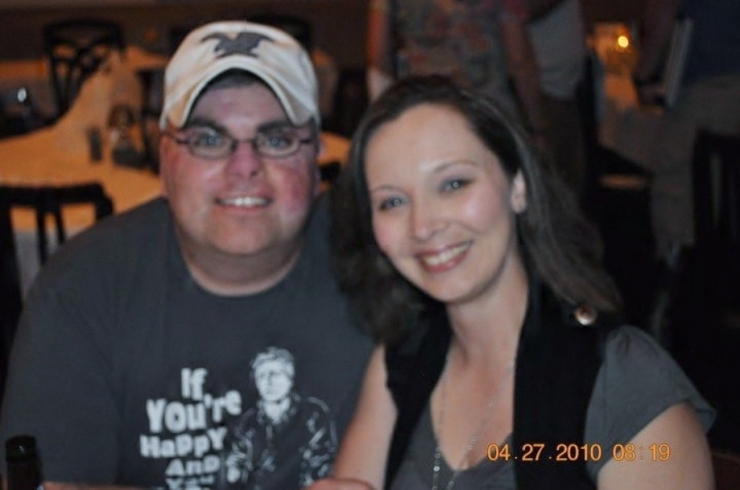 Find out how to become a Chive Charities donor RIGHT HERE and meet April and Michael at this year’s Green Gala.